Love Music? Then this is the place to be! With live music being the backbone of our bar, we offer very personal, intimate, LIVE music 5 nights a week. RED ROCK and BLUES !! WE HAVE IT ALL! Great drinks at great prices! If you are looking for an amazing music venue or that one special spot that you can go and unwind, look no further! 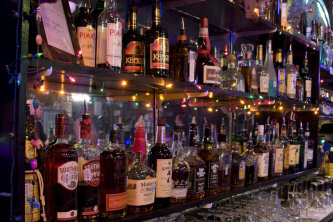 If you like "off-the-beaten-path" bars or "hole-in-the-walls" you need to check us out! Check out our calendar for the best music in the area. Fridays and Saturdays are peppered with the best regional and national acts, you never know who will show here, a great place to get up close with your favorite stars. Guys-leave the B.S. at the door! Gals-leave your bras in the rafters!